Following a warning about a popular product for newborns that can be risky for children, The Consumer Product Safety Commission has now issued a recall of all Rock n' Play sleepers. According to the recall notice, since the product was released in 2009, more than 30 babies have died because of the sleeper, either after they rolled over while unrestrained or in other circumstances. Fisher-Price issued a recall notice for 4.7 million of its "Rock 'n Play Sleepers" after the devices were linked to the roll-over deaths of more than 30 infants since 2009, the U.S. Consumer Product Safety Commission said on Friday. The sleepers were sold at major retailers throughout the United States for approximately $40 to $149. In its initial statement, Fisher-Price said the product "meets all applicable safety standards, including those of the worldwide standards organization, known as ASTM global, and is certified by the Juvenile Products Manufacturing Association (JPMA)". The U.S Consumer Product Safety Commission (CPSC), an independent agency of the USA government, warned consumers to immediately stop using the product and to contact Fisher-Price for a refund or voucher. "There is convincing evidence that the Rock n" Play inclined sleeper puts infants' lives at risk, and CPSC must step up and take immediate action to remove it from stores and prevent further tragedies'. 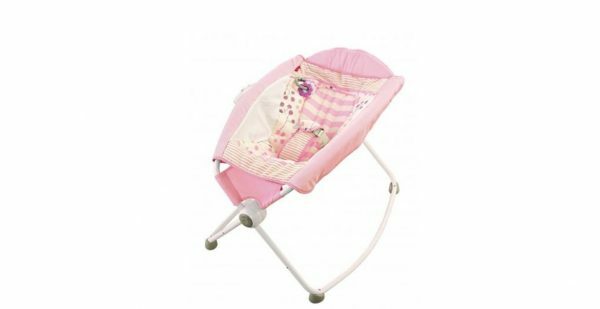 Earlier this week, following the article from Consumer Reports, Fisher-Price said its Rock 'n Play Sleeper "meets all applicable safety standards". But The American Academy of Pediatrics urged Fisher-Price and the CPSC to recall the sleepers, calling them "deadly". It cited a report from Consumer Reports, which said 32 babies had died in the sleepers. As a result of the deaths, the CPSC recommended that consumers stop using the product once infants reach 3 months of age or once infants exhibit the ability to roll over. But, Hoffman said, "we feel like this is a unsafe product". Rachel Moon, a doctor and chair of the AAP's task force on sudden infant death syndrome, added in a news release that "infants should always sleep on their back, on a separate, flat and firm sleep surface without any bumpers or bedding". "The CPSC is aware of 10 infant deaths in the Rock 'n Play that have occurred since 2015, after the infants rolled from their back to their stomach or side, while unrestrained". A warning issued Friday by the commission and Fisher-Price cited reports of 10 infant deaths since 2015. They say stores should remove the rocker from their shelves. The boards of both companies have approved the transaction, and the deal is supposed to close in the second half of this year. Anadarko shareholders will receive 0.3869 shares of Chevron and $16.25 in cash for each share they own, or $65 per share. On Wednesday, he made good on that pledge by signing two executive orders that would put pipelines on the fast track to success. The United States is blessed with plentiful energy resources, including abundant supplies of coal, oil, and natural gas. Johnson had fun with the incident, giving people on the tee box permission to laugh because, as he said, "That's embarrassing". He was able to re-tee the ball and then striped his tee shot-his actual tee shot-right down the center. Actor Timothy Williams, 52, was found passed out behind the steering wheel of a vehicle around 3:15 p.m., Houston police said. After police found the impaired Williams, he failed a field sobriety test and was taken to the nearby Harris County Jail. According to T-Mobile US, 48% of US customers are locked into a contract and face paying hundreds in early termination fees. A companion app for iOS and Android will also be released for viewing on mobile devices. Getting back on stage and creating new music - like her two hit albums, Sweetener and Thank U, Next - have helped Grande cope. She eventually returned to Manchester to headline her charity concert "One Love Manchester" for victims of the bombing. On the fourth delivery of the over, Ulhas Gandhe signaled a no ball which seemed to be a clear waist-high no ball to Santner. The controversy overshadowed Dhoni's achievement of registering his 100th win as IPL captain. The Department of Justice offered Mueller to review the March 24 letter, but the special counsel declined, according to Barr. This is his first public appearance since releasing his four page summary of the Mueller report. The Packers selected Gregg, who played collegiately at SMU, in the second round of the 1956 National Football League draft. Green Bay Packers team historian Cliff Christl remembered Forrest Gregg in a tribute posted on the team's website. Redmi working on a smartphone with 32 MP selfie camera?